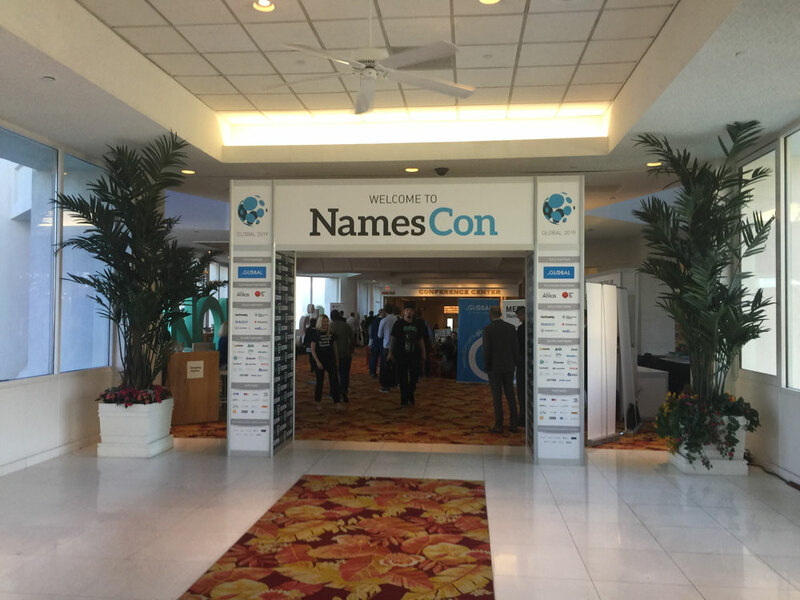 LAS VEGAS, NV – NamesCon Global 2019 is well underway with just one day remaining. While here since Sunday I’ve had just enough time to visit a few panels and keynotes of choice, all of which were great and well worth attending as listening and learning, if it creates just one new idea or new potential, can help steer direction in one’s career; not to mention all of the great networking opportunities the event provides while keeping your current industry relationships alive. Sure, email is great, but there is nothing like catching up in the real world. 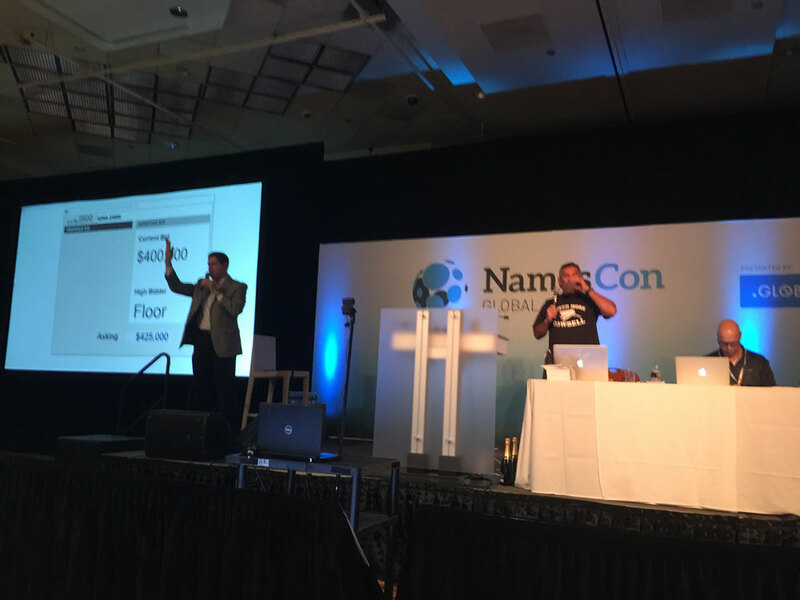 Here are some photos of what’s happening here at NamesCon. This year it seems a little quieter and smaller than I’ve seen thus far in the three or four years I’ve been attending, however, there is still a lot going on here and if a domain name enthusiast, you’ll likely never have had a better reason to visit Las Vegas; word is, this is the last year here. Entering the event and main registration and reception area. 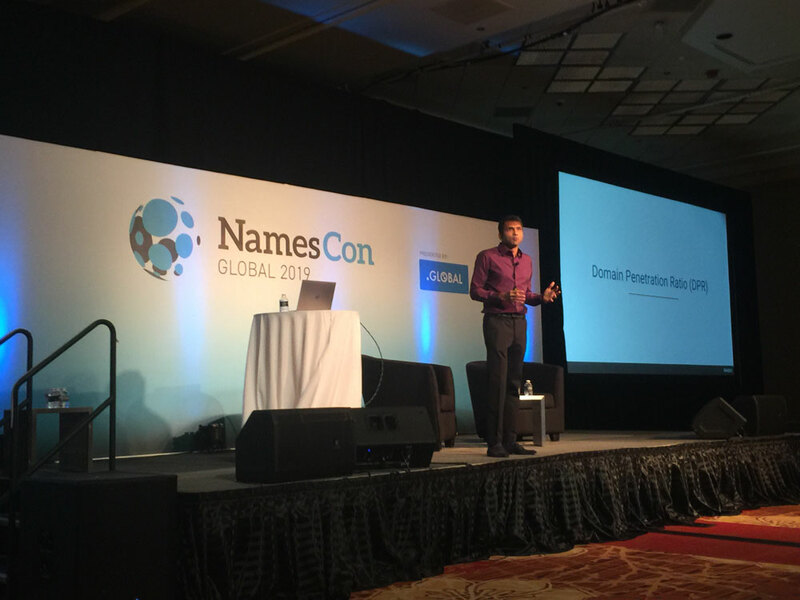 Founder & Executive Chairman Bhavin Turakhia explains to the audience every aspect that has gone into picking the new gTLDs company RADIX applied for and how every decision has been backed by meaningful proven data giving listeners a new found respect for this registry operator. 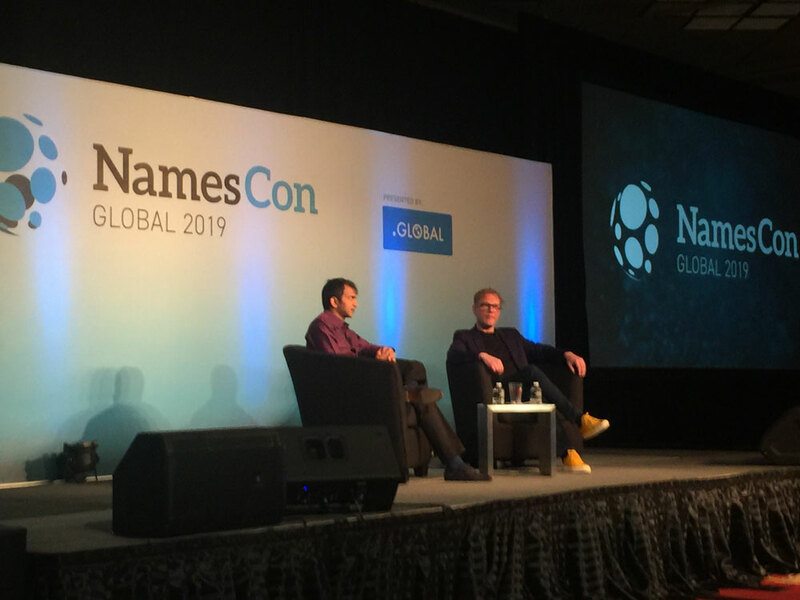 Serial tech entrepreneur, billionaire, and CEO Turakhia talks with NamesCon CEO Soeren von Varchmin about some of his other endeavors such as Flock, CodeChef, and Ringo. 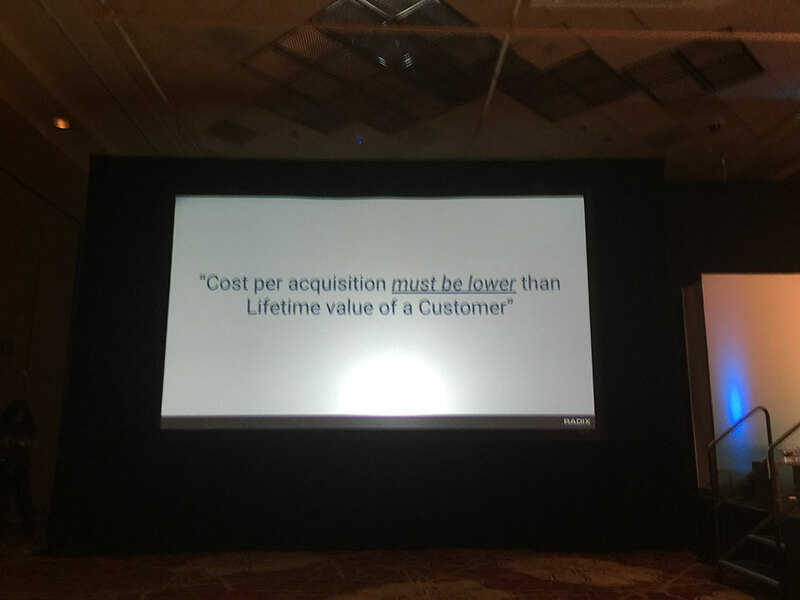 A basic fundamental visual lesson for any and all business. 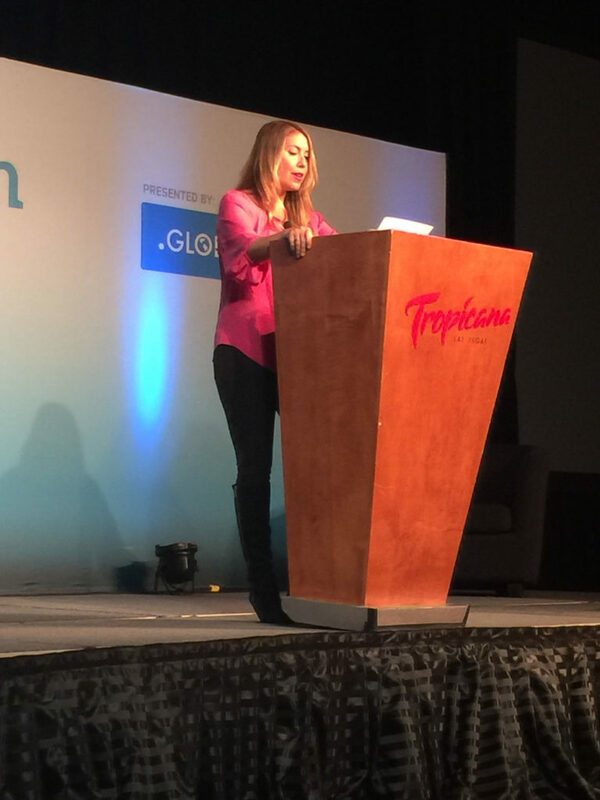 Founder and CEO Kate Buckley of Buckley Media speaks about her experience with storytelling in sales and how every business should be using storytelling techniques to not only better define their own businesses story-line in marketing but to use them to increase their sales and acquisition abilities. 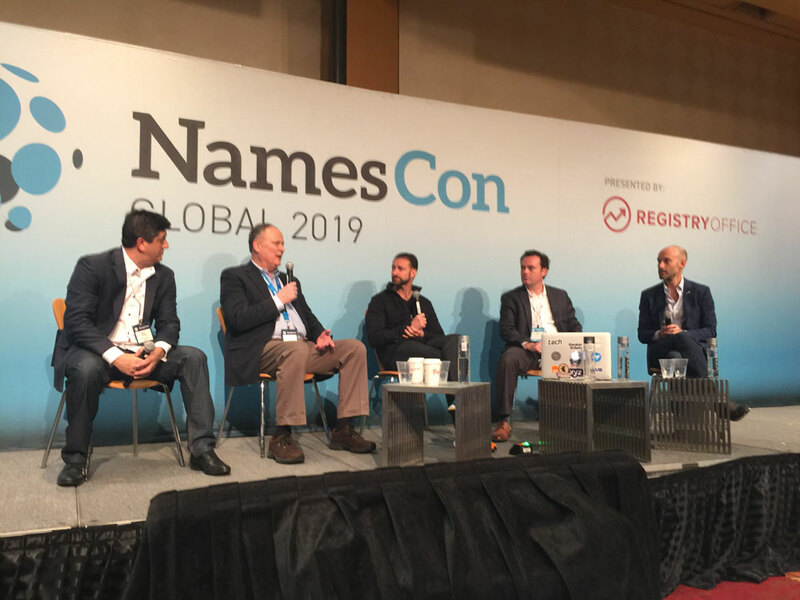 From left, Premium Domain Broker Mark Thomas of VIP Brokerage, Dave Evanson Senior Broker of Sedo, Braden Pollock Founder, Legal Brand Marketing (moderating center) Joe Styler Product Manager for the Aftermarket at GoDaddy, and Andrew Rosener, CEO of Media Options, together help the audience valuate their domains and better understand how to value a domain name by certain characteristics in the name in a panel titled ‘What’s My Domain Worth?’. 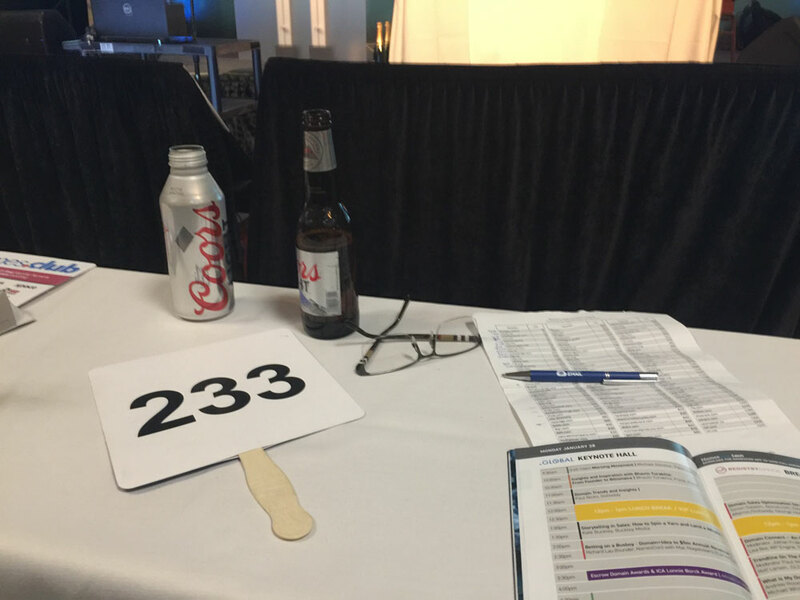 Front and center at the live auction where they know just when to start getting the free drinks and alcohol rolling out; about an hour or so prior. 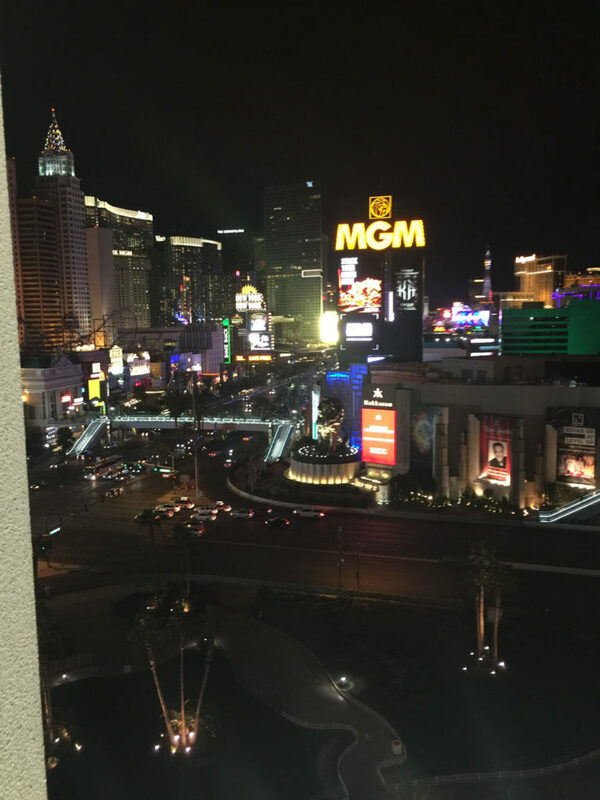 A view of the Vegas Strip on the way over to the annual ICA, Internet Commerce Association dinner at the House of Blues Restaurant & Bar – Mandalay Bay; packed as usual. 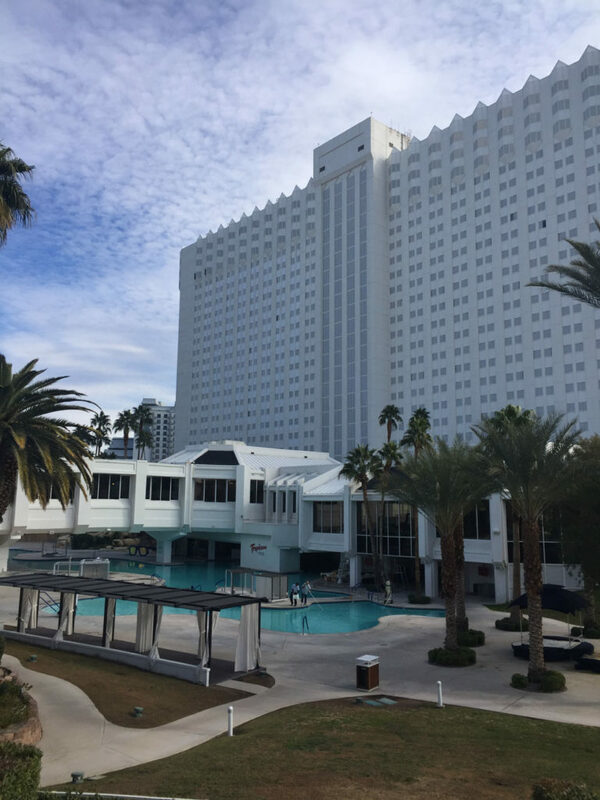 Getting set for a new day of events here at the Tropicana in Las Vegas; if only it were a bit warmer surely this pool scene would not appear as empty.